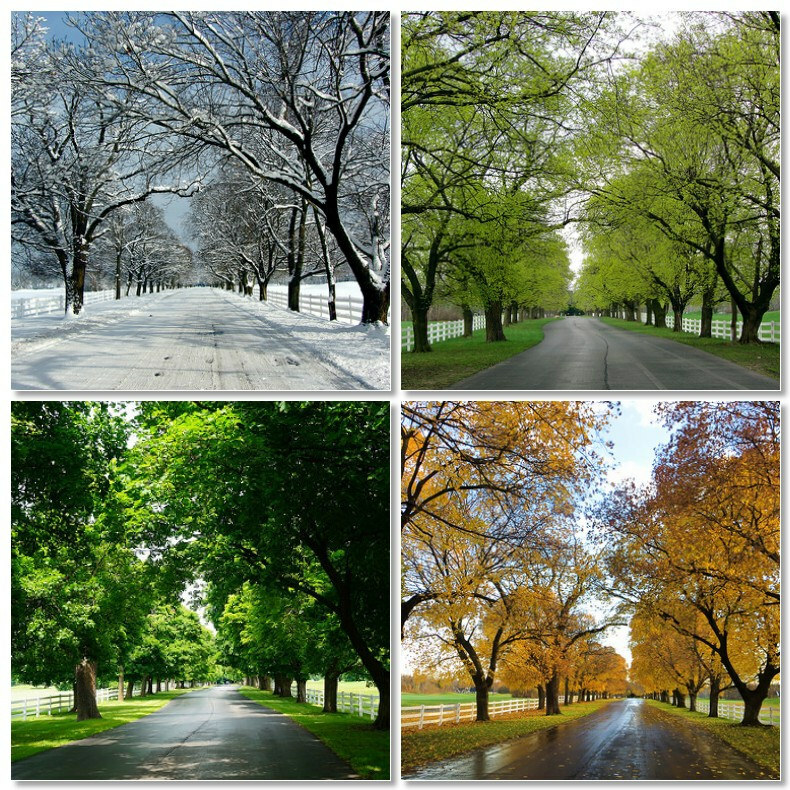 When Do You Capitalize Seasons? Sometimes it’s difficult to know whether or not to capitalize certain words. Most of us know the days of the week and the months of the year are capitalized, but what about the seasons? Many people have to stop and think if they’re supposed to capitalize winter, spring, summer and fall (or autumn). It’s the same problem people often have with whether or not to capitalize directions. As with the case of north, south, east and west, the answer is the same. The general rule of thumb is that you capitalize the seasons if they happen to be part of a proper name, but not if they’re merely indicating the time of the year. While there are some caveats to this, it’s the general rule of thumb to follow. As mentioned above, the rule for capitalizing seasons is you do when they are part of a proper noun. The truth is you’ll seldom see or use the capitalized version unlike with directions where it’s much more common. The Winter Olympics and Summer Olympics are both examples of the capitalized form, and using the capital is correct because the season the event happens in is part of its proper name. Proper names get capitals, so the season, as part of the name, will get a capital letter as well. Capitalizing is also in order when a season becomes personified. For example, take the sentence, “Bringing all her glory with her Spring is the handmaiden of Summer.” In this sentence, the seasons are being talked about as if they were people, and people’s names always get a capital letter. Of course, the same would be true if a person happened to have the name of one of the seasons. A girl named Summer or a woman named Autumn would always get a capital letter when their name was used in a sentence. Most authorities agree that if you’re just talking about a season in the normal way, you’d use the lower case. For example, you wouldn’t capitalize the season in the sentence, “She loved her spring flowers and couldn’t abide the winter chill,” since they only refer to the season. In the vast majority of the cases when writing seasons, this will be the case. Of course, it wouldn’t be any fun is everyone agreed 100% to this rule of thumb. As might be expected, there are those who disagree. They argue that the seasons are similar to the months of the year, and in the same way they should always get the capital letter. The good news is most people who hold this point of view agree that using the lower case is currently the accepted form – they just happen to believe that it isn’t quite right. The above should make it pretty clear when you do and when you don’t capitalize the seasons when writing. Now you have the knowledge to help others who aren’t sure when they should and shouldn’t capitalize the seasons, and you should even be able to clearly explain the reason why. Do you capitalize winter? No, not unless winter is part of a proper name. Do you capitalize summer? No, not unless summer is being used as part of a proper name. Do you capitalize spring? No, not unless the word spring is a part of a proper name. Do you capitalize autumn or fall? No, not unless fall or autum are used as part of a proper name. I wish that it were easier to remember when to capitalize things like this. It gets so confusing. capitalize months and days of the week, but not seasons? They all tell us an amount of time. It seems that seasons should be capitalized. but that’s just my opinion. Oh, come on, remembering this isn’t all that difficult. It’s not like it’s algebra or physics or anything along those lines. All you have to do is put it in your head once and you can remember it for a lifetime. It’s a simple as remembering that winter, spring, summer, and fall are only capitalized when they happen to be part of a proper name. You could have summed up this entire article by just saying you don’t capitalize north, south, east or west except when they happen to be part of the name. There, I just wrote your entire article for you in a single sentence. The example sentence is repeated on numerous sites, but it is flawed. In the phrase “her spring flowers”, spring is an adjective, as is winter in “winter chill”. If the sentenced were phrased, “She loved the flowers of Spring, but could not abide the chill of Winter,” then the season could be capitalized. Though many people would prefer the seasons not capitalized, to this writer it is proper, as well as respectful of the natural world.